Whether it’s one day or one hundred days, having your baby in the hospital is never easy. Every mom wants to give birth, and go home with a healthy baby a couple days later. Unfortunately, when you give birth to a preemie, this just doesn’t happen. You really can’t predict when your preemie will come home from the hospital. The doctors and nurses estimate they will come home around their due date, but so many complications can arise, that you can never really be sure. That uncertainty just adds to the intense emotions you feel when your baby is living in the NICU. Today, we meet a family that is still struggling with dividing their time between home and the hospital, as they wait for their precious girl to be ready. Here is their story, as told by Mom, Norma. Hello. My name is Norma, and on December 31, 2015, I gave birth to My baby girl Dahlia at 24 weeks gestation weighing 700 grams (1lb 1/2). We have been in the hospital for close to 4 months and are still here. My story all started on a Tuesday night. On December 29th, 2015, I was ready to go to bed, and I was very tired. I woke up with very minor sharp pain, but I really didn’t think anything of it. I just thought my baby was kicking me a little bit too hard. The pains were very continuous, but I decided to ignore it and sleep. The very next morning they were getting worse and worse. I went to the restroom, and I noticed that I had bloody discharge. That’s when I panicked and called my OB office. They told me to go to the ER, but I was very scared. I did not want to go, so I waited maybe 2 hours before my sister finally picked me up to take me. I got to the ER, and then they did an ultrasound and checked me. They told me that I was dilated 2 already. 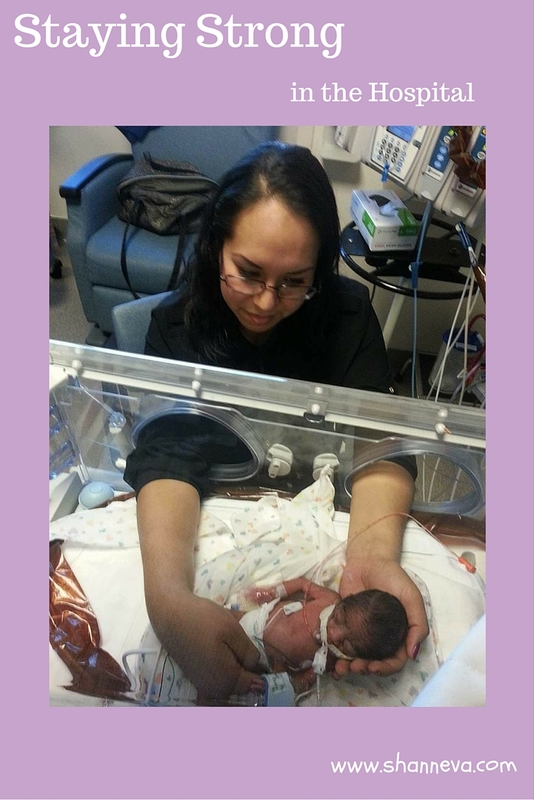 They quickly called my hospital and requested emergency transportation to a hospital that had the NICU. Quickly, the ambulance came and picked me up and took me to White Memorial Medical Center Hospital in Los Angeles. Things escalated very quickly, and I dilated to 8. 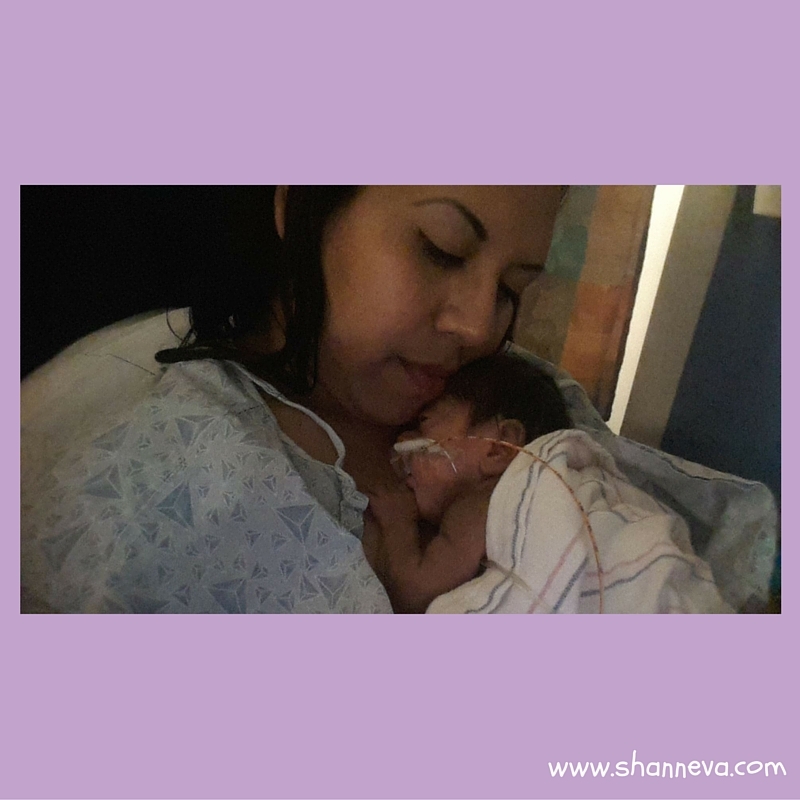 Before I knew it, I was in the delivery room ready to give birth. They gave me medication to try to keep me pregnant for as long as they could, but my baby didn’t want to wait. I was in so much pain, I requested the epidural. I was contracting so bad, and I could not take the pain anymore. When I was waiting for the team to get ready to deliver my baby, something drastic happened. Since I couldn’t feel anything from my waist down, I did not realize that my baby had already came out, along with her amniotic sac intact. It happened so quick next thing I know, the NICU team rushed in there, and got my baby to safety. 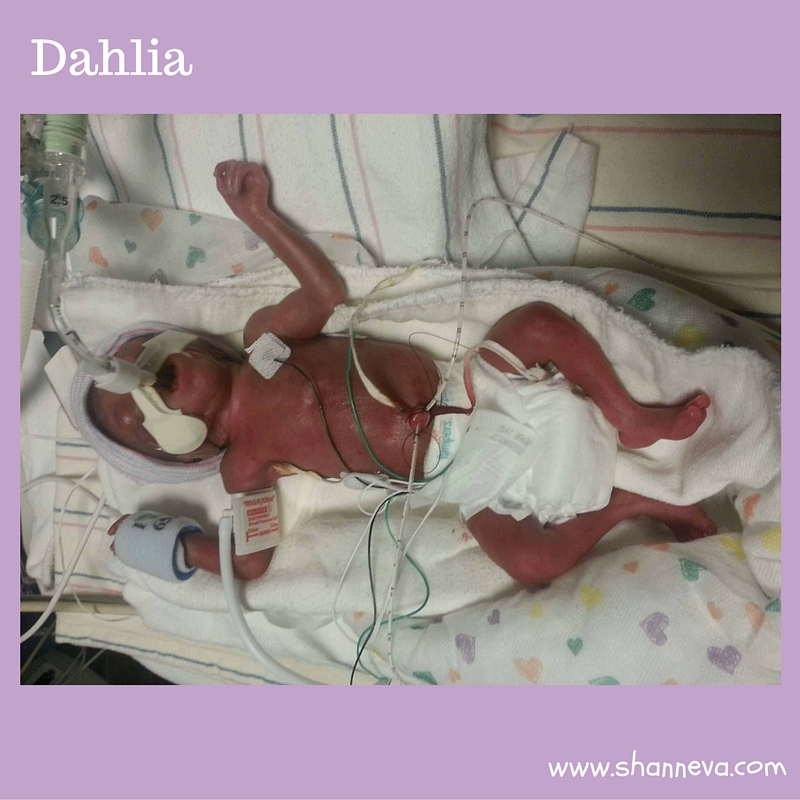 It was December 31, and there she was, my baby girl Dahlia, weighing 1 pound and a half. She was born, and everything was going okay. 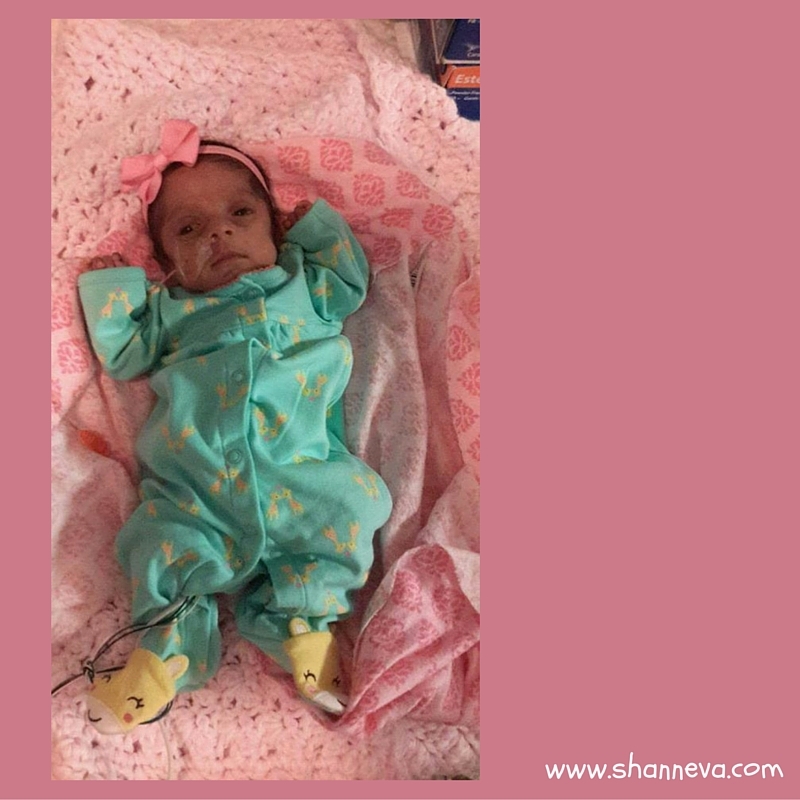 6 days after her birth, her stomach was turning blue and they didn’t know why. They soon realized that she had a hole in her intestine. She went into surgery, but due to the fact that they almost lost her on the surgery table, they had to stop the surgery. The surgeon came out and told me to prepare for the worse. He said that the baby wouldn’t make it through the night. That was the worst feeling I’ve ever had. Thankfully, my baby pulled through the night, and recovered. Unfortunately, not long after she got pneumonia and she almost died from that, as well. The doctors told me that they did not know if she was going to make it. It was a waiting game at this point. Again, my strong baby recovered, and again the doctors couldn’t believe what a fighter she was. At this point, my baby was still intubated and that bacteria was still growing in her tube. The doctor told me the baby is growing that pneumonia again, and next time she won’t make it so we need to extubate her. The doctor took his chances and extubated my baby. It was the best decision that he made. My baby is a true fighter. Now, she just needs to have her surgery, learn to eat more with the bottle, and grow. The hardest part was almost losing her. Also, it is so hard having 2 girls back at home, and feeling like I was neglecting them. But, as time passed, they do understand and are very supportive. My advice is to never lose faith and patience. It is a very tough journey, but it will all be worth it at the end of the day. To have our baby home with us will be the biggest joy in the world. 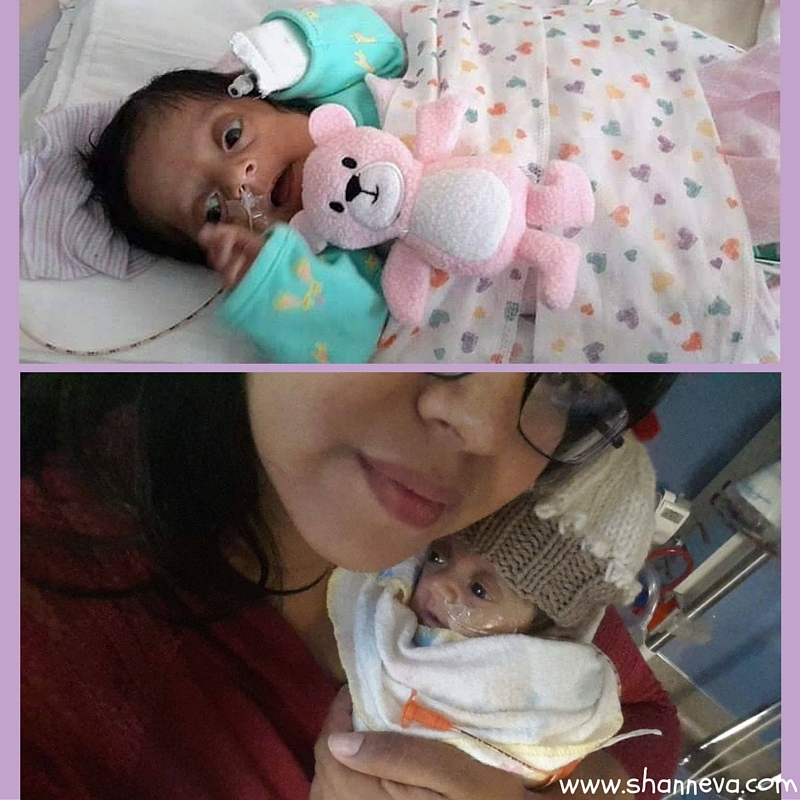 Thank you so much to Norma for sharing her story and beautiful Dahlia with us. I will be sure to keep you updated, and let you know when Dahlia is able to go home. Until then, please send your supportive comments and thoughts below. I am so sorry to hear of this rough start in life. 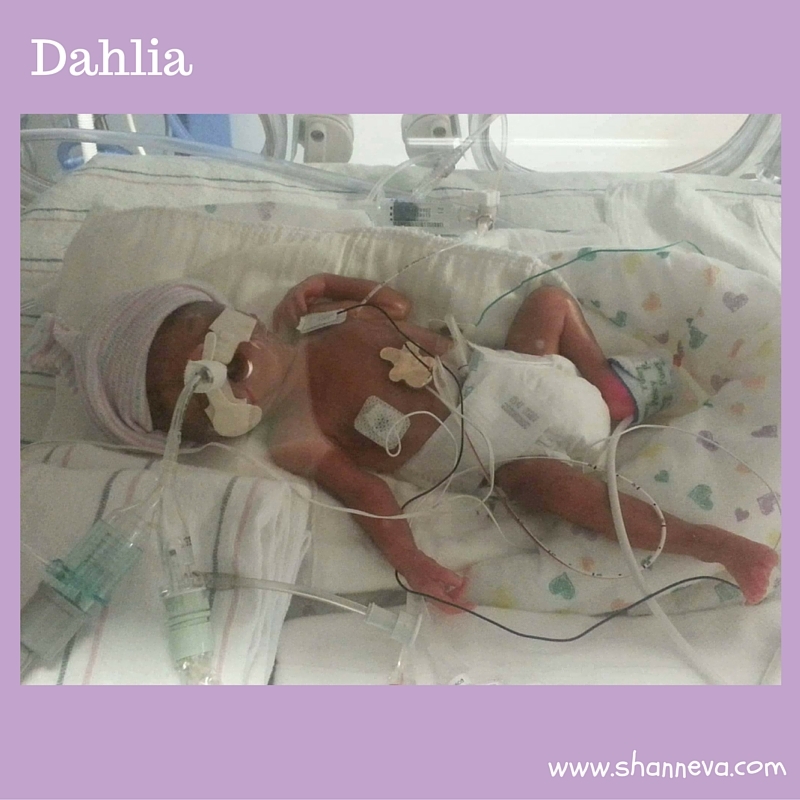 Dahlia must be incredibly strong and is fighting to get home to her loving family. I hope her surgery goes well and she can go home soon. Sending good thoughts to the whole family. What a beautiful baby girl. I hope she continues to be a fighter and gets better after her next surgery. Keep fighting Dahlia!!! What a strong girl! Thank you for sharing your story and I hope she gets to go home with you soon! Such a precious and strong little fighter Dahlia is.. I am so proud of her! 🙂 Thanks for sharing this amazing story! Wow! Dahlia is such a fighter! Hopefully you get to bring her home soon!